Benefits: Increase mobility, flexibility, muscular endurance, strength and prevent injury. 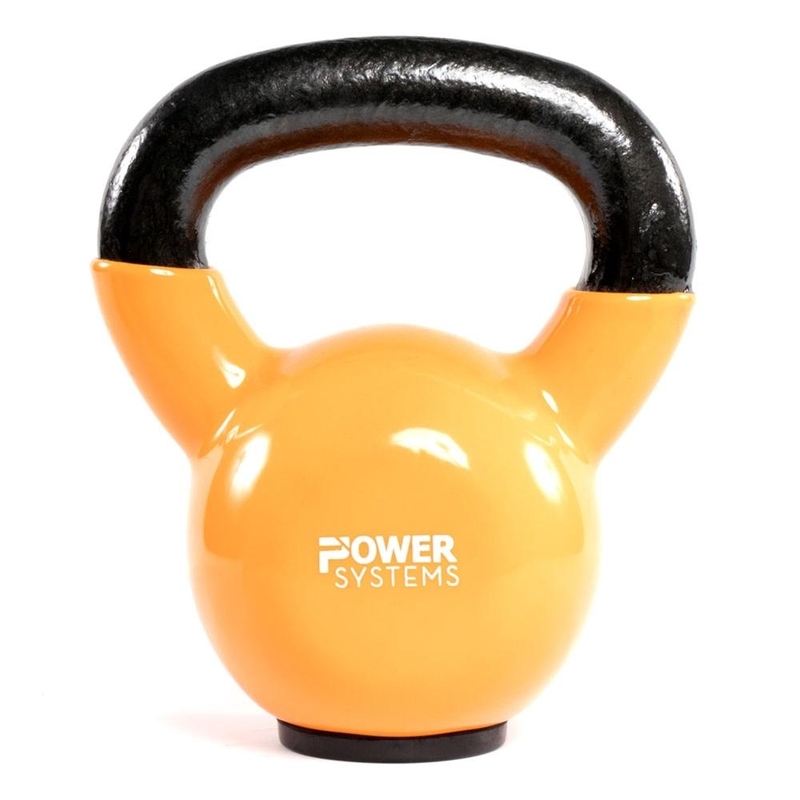 Weight Lifting Kettlebells Vinyl Coated - 50360 - Premium Kettlebell 35 Lb. 1. Swing: Feet shoulder width apart and toes pointed out slightly. Bend over and grab KB with two hands. Pull the KB back and under your hips and keep arms and back straight. Drive hips forward and knees slightly bent. Do not use arms to lift the weight and keep them relaxed. Perform 15-20 reps.
2. Goblet Squat: Bend over and grab KB with both hands and bring it up to chest and just under your chin. Perform a squat and have elbows touch quads and explode up. Keep the KB close to your chest and feet should width apart and toes pointed out slightly. Perform 15-20 reps.
3. Clean: Grab the KB with one arm and place opposite arm straight out to balance yourself. Pull the KB straight up and close to your body. Snap your arm and bend your knees to get underneath it once the KB reaches your chest. Return to starting position. Perform 15-20 reps each arm. 4. Press: Grab the KB and perform a clean for the starting position of the press. Bend your knees slightly and opposite arm should be straight out to your side for balance. Press the KB up and extend your elbow to a lockout position. Return to starting press position and perform 15-20 reps each arm. Perform 2-4 sets for a total body WOD with 30-60 seconds rest between sets. A dumbbell can be used in substitution for a kettlebell.